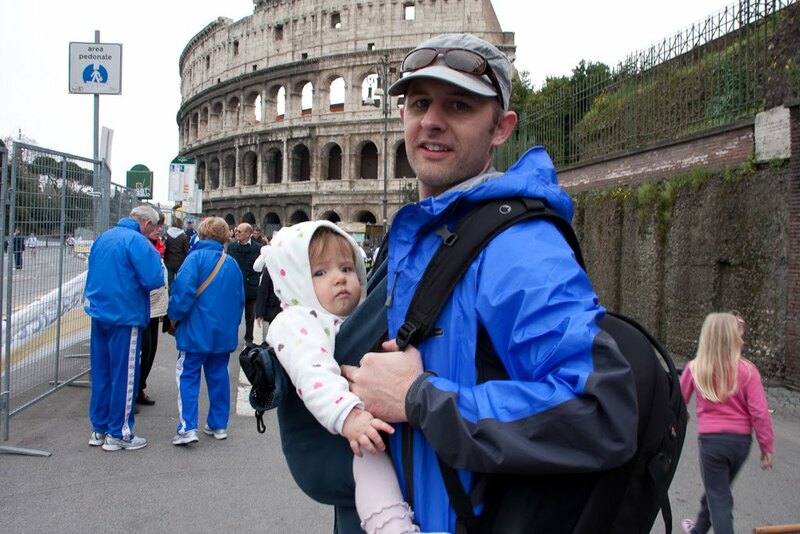 I knew getting baby weight off was going to be hard so I made a goal……. 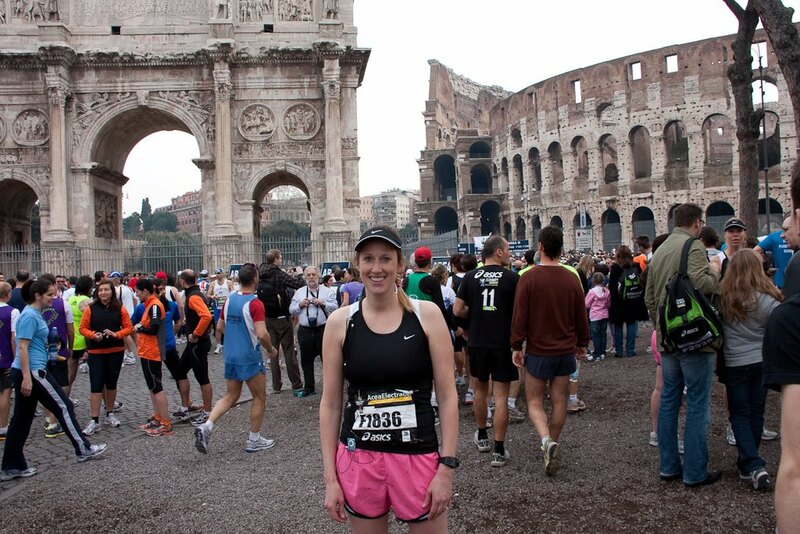 8 months from giving birth there was going to be a marathon in Rome. 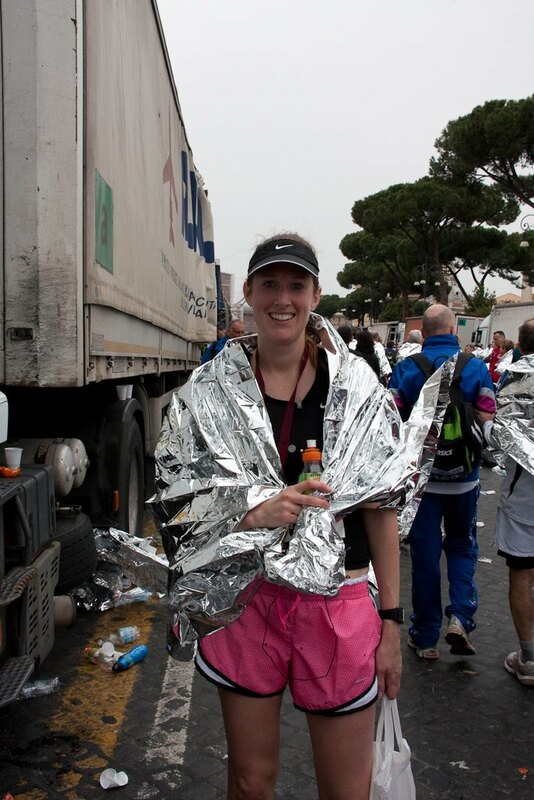 I decided if I was going to run a marathon, why not in Rome? So I invited all of my friends and two of them took me up on the offer. It was great fun having friends to train with. 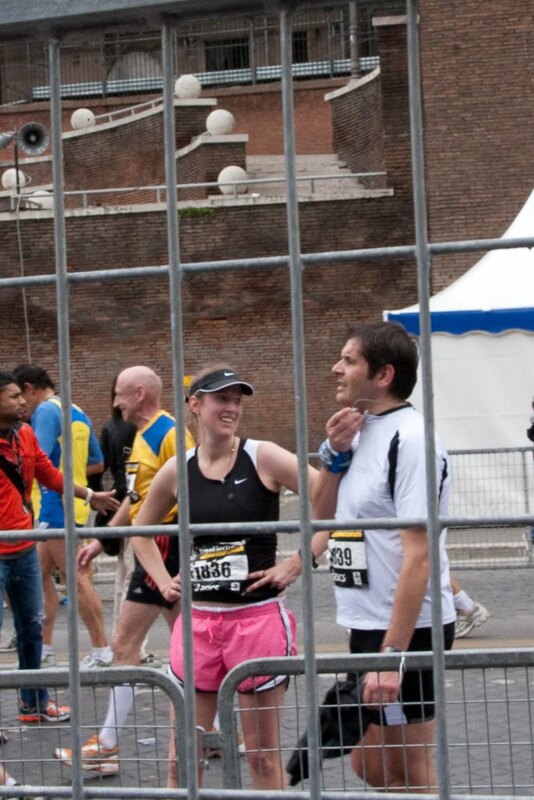 Right before the race, all of our nerves were a little un-easy but the minute the race started, it felt great. We decided to go the HOT pink shorts route. 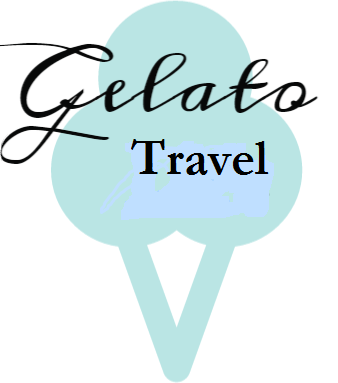 It made finding us in the masses of people a lot easier. 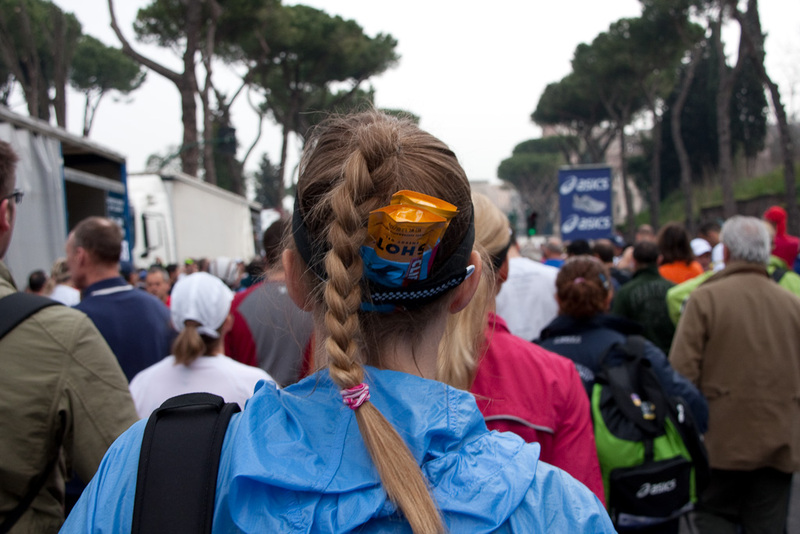 A last minute choice to not run with a belt resulted in getting creative with a method to carry my gel shots. Jason came up with this one and it worked perfect. All ready to start the race. Italy requires health physicals in order to participate. My EKG came back weird so I was referred to a cardiologist. It was nerve-racking, I thought maybe I wasn’t going to be able to run. The cardiologist told me that marathons were very hard on the heart so I decided to implement Jeff Galloways run/walk method. The race begins. The first part of the race was my slowest because it took forever to weave through all the people. At one point people were walking because you couldn’t pass people. Thankfully these guys got to be in front because they were crazy fast!! The winner was 2 hours 8 mins! Can you find me? 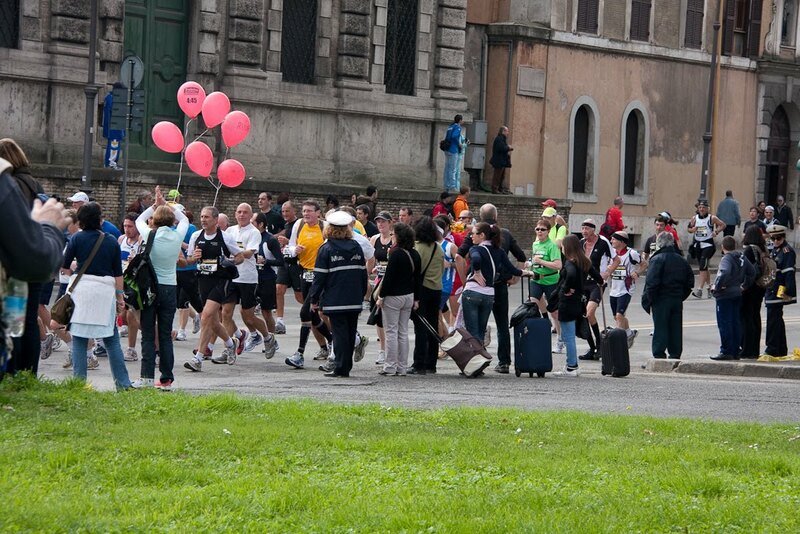 I paced myself behind the red balloon pacers. I stayed with them for 2 hrs using my run/walk method but then I had to have a bathroom break. The line for the porta-potty was long. So it was so sad watching my red-balloons disappear. The bathroom break took 10 mins! I was so frustrated I wasted so much time. It took me an hour to catch back up to the red-balloons but I did. The red balloon pacers were these Italian guys and they were hillarious. When they found out I was an American from CA one guy told me that CA was his dream and he would trade his house in Rome with me. haha. The same guy also told me not to drink too much water and gave a honey shot. Yum! There were some interesting participants. This guy dressed Roman style. We had a barefoot clown, a lady who bounced a basketball the whole way, men who peed their pants while running, people throwing up……and more! Can you see the relief on my face? This is right after I crossed the finish line. It was such an amazing feeling! My official time was 4:40 but I subtracted my 10 min pit-stop and calculated I ran 26.2 miles in 4 hours 30 mins. I was happy with that. I ran about 10 1/2 min miles and that included my run/walk method. I never hit a wall and felt great the whole way. The last mile my thigh started to cramp but if that’s all for 26.2 miles, I’ll take it! My fan-club. It was so fun seeing Jason on the side-lines cheering me all along the way. All finished!!! I had such a great experience and was glad I could share it with 2 of my girlfriends. We have stayed with Anne at Anne’s Place a few times in Rome and she is starting to feel like family. She knitted this cute little sweater. Thanks Anne! 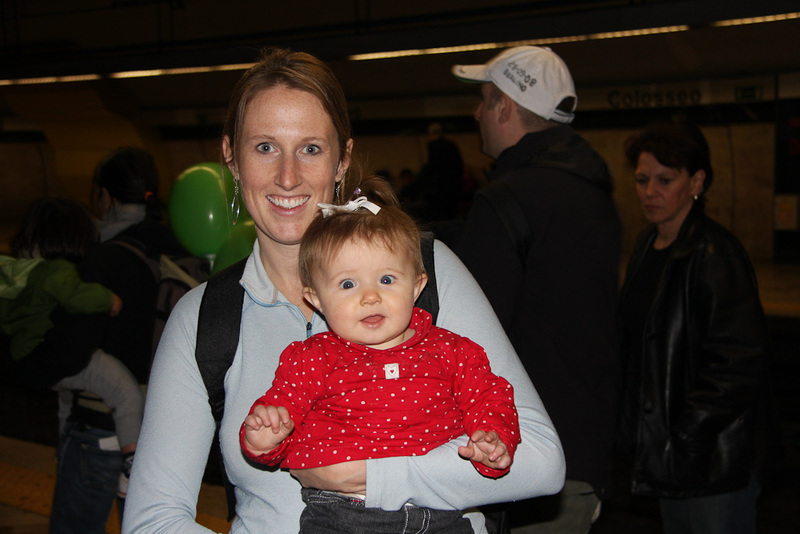 The baby was such a good sport being toted all around. Here she is fast asleep. Ciao Bella was said quite often to her. The night before the big race we registered at the Marathon Village and met up with everyone. 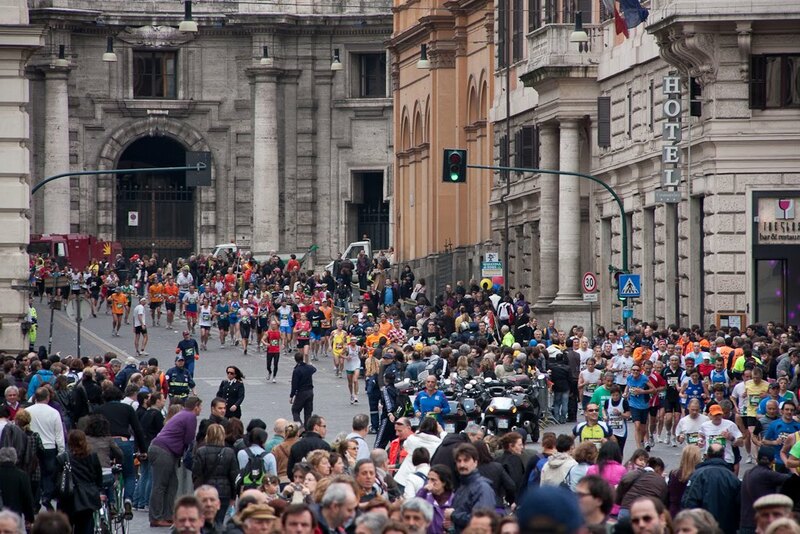 I wouldn’t recommend visiting Rome during the marathon. There was an extra 80,000 people plus gates and detours everywhere. What an amazing woman you are! 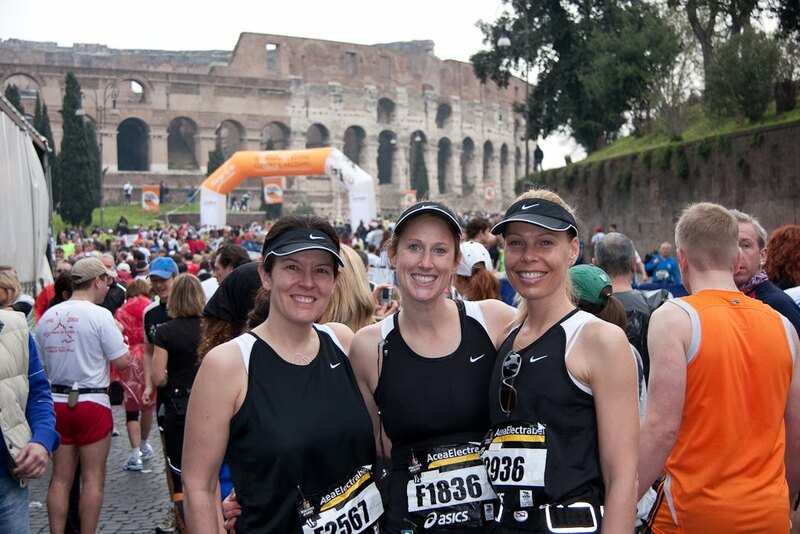 We're so proud of you and all the hard work and training you put into this marathon! Great job! 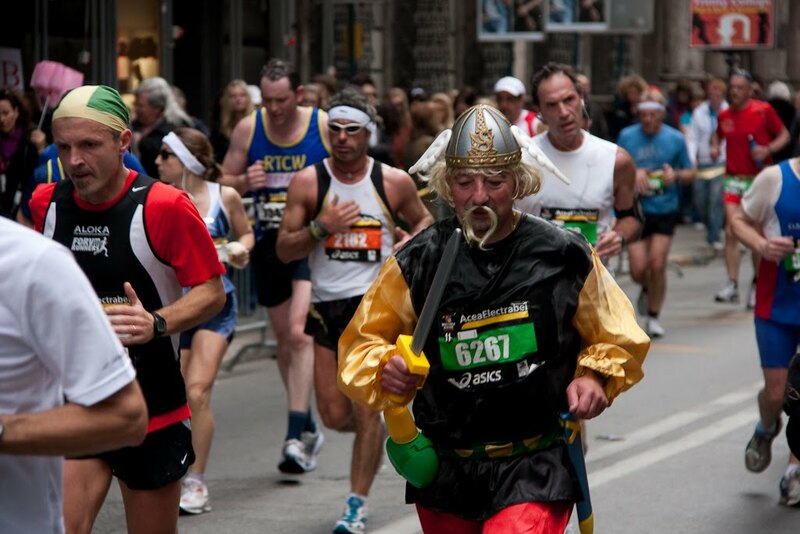 I loved Reading all about your marathon. That is really inspiring. Such such cute pictures of Josie and I love that you can do her hair in a fountain! Ahhhh!!! You deserve a huge round of applause. Way to go and doing such a huge thing, and no cooler place to do it I might add. 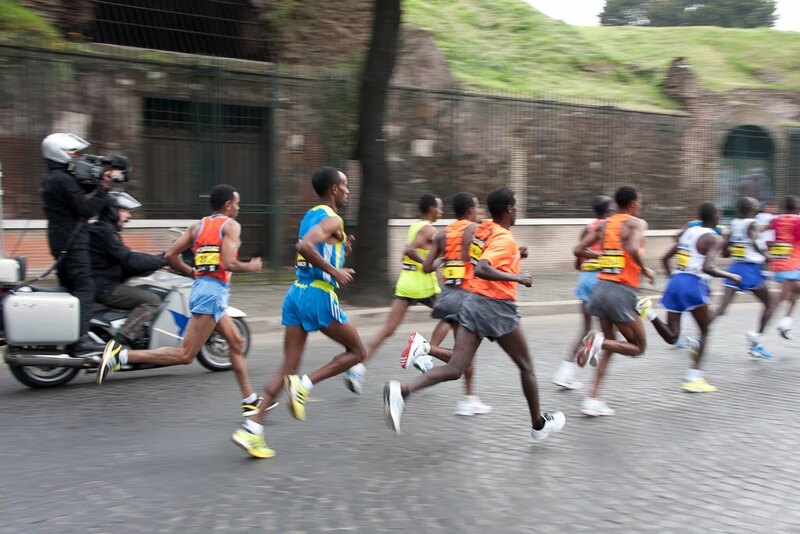 The pictures of the race outside the colloseum are amazing. Josie in her red sweater looks beautiful. Yay so exciting!! Loved reading about it! Josie is getting so big! 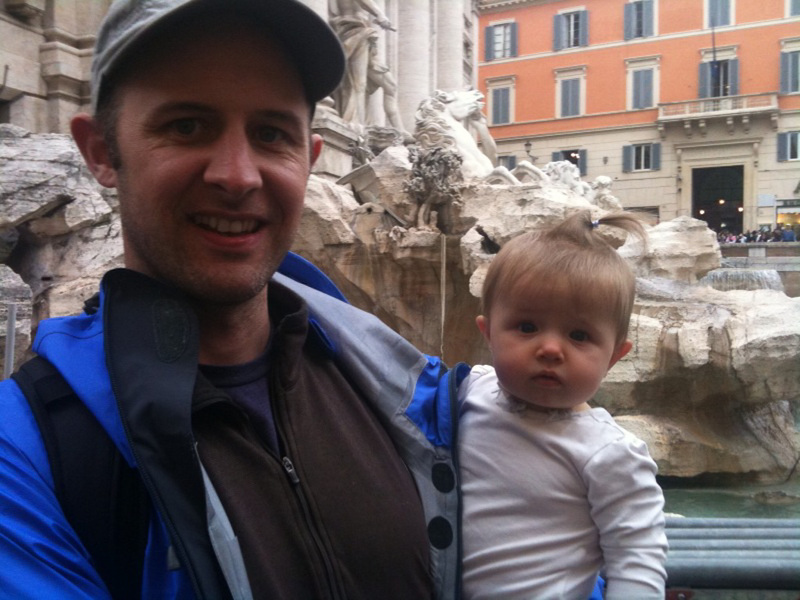 And that first picture of Jason makes him Brett look quite alike!! Love the sweater from Anna. 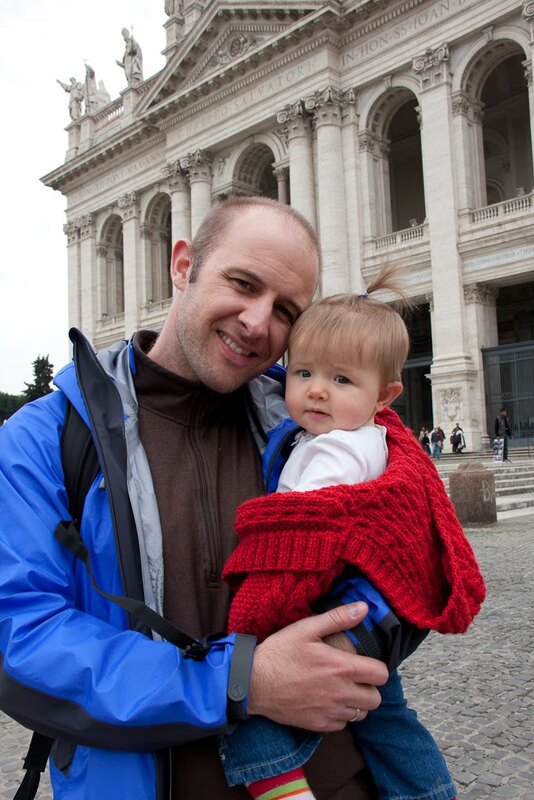 And I see that she wore an outfit from me on her trip to Rome. That fountain was just in a movie I watched. You are amazing that you did this. I hope to just do a 5K again! Way to go! You are such an inspiration. Josie is darling!!!! Wow! We are seriously impressed! Congrats! I bet that feels so great! And in Rome? How dreamy! It's so good to see how you guys are doing with all your blog updates! 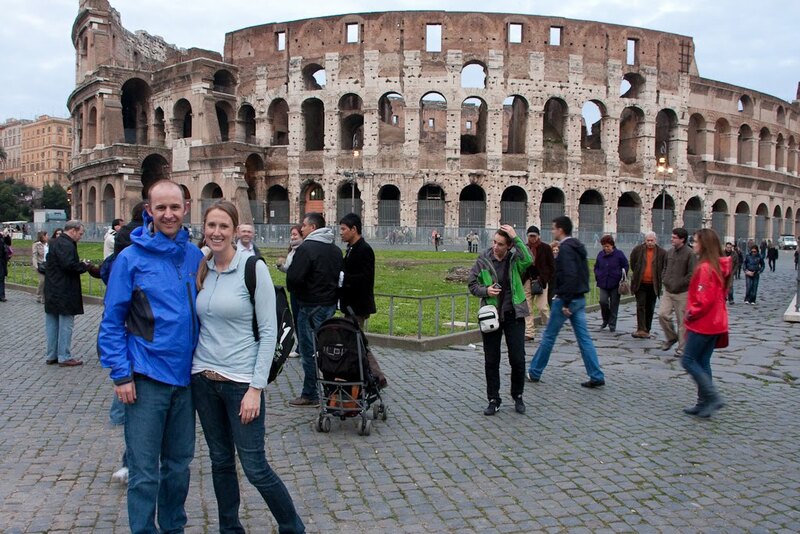 Julie, I just read the story of your “Amazing Race”. I am so impressed and exicted for your accomplishement! It is also cool that you documented it for the rest of us to be inspired. Way to go, girl! Yeah! 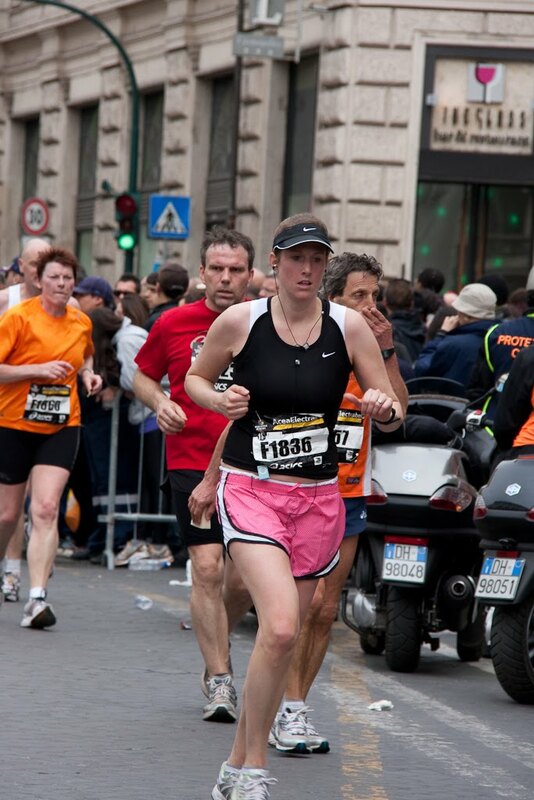 I'm soooo proud of you, not for finishing a marathon, but looking great too! 🙂 What an amazing race, in Rome you picked too! If I was still a runner, that would be awesome! Are you going to do another??? wow julie! That's an awesome experience. The run/walk method sounds interesting maybe i would consider doing one that way… Josie is such a doll. love all the pictures! I loved reading about your race! I am half way through a training for one here (not as cool as Rome). Your story was great, and it got me all excited and nervous at the same time for my race. Congrats! That is a huge accomplishment. Major congratulations!! 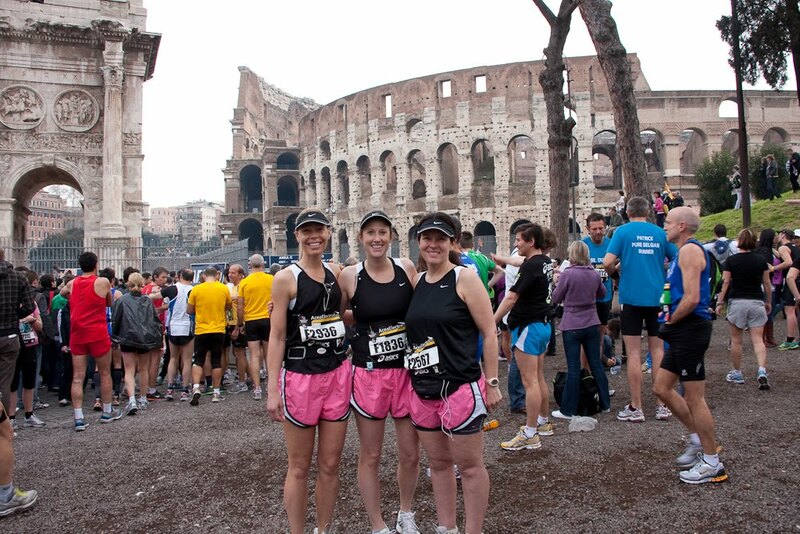 I imagine that a marathon in Rome would be much cooler than one in IL…wish I could have joined you. Impressive Julie! 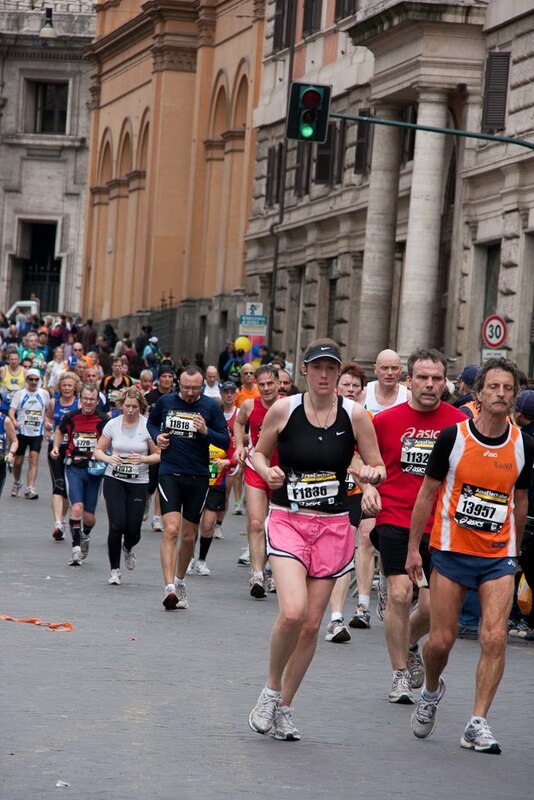 I admire you're determination and what a great place to run a marathon.